Show Motel Artist Collective is an alternative art show made up of a group of artists who rent a room in a motel in Ocala and transform it into their gallery space. The Show Motel is a site-specific paradigm successfully employed across the country. The intention is to repurpose dismissed locations. In doing so it challenges formal exhibition spaces giving artists an egalitarian venue in which to thrive. In other words, it's an alternative art show made up of artists who rent out a motel and use it as their gallery. This model is based on the Nadadada Motel Art Shows in Reno, started as a revolt against corporate sponsorship and a venue for artists with no dictates. 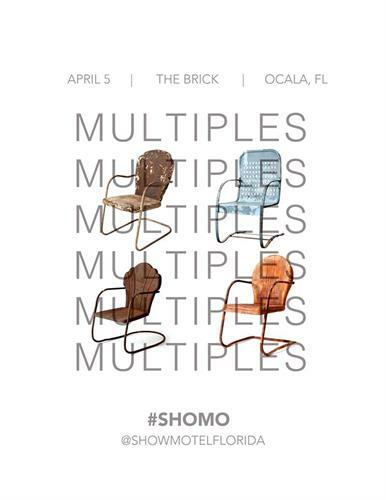 Visit www.showmotelflorida.com to learn more about this artist collective. We are excited to welcome Show Motel Artist Collective to the Brick. Please join us for a month filled with Florida artists who with a distinctive and ?avant-garde? vision. Follow MCA on Facebook & Instagram at @mcaocala.